Whether you’re considering a career in freelancing or you’ve already gotten started, it is important to recognize the many pitfalls that are common to many entrepreneurs who work from home. While it is true that your mistakes are valuable learning experiences, it’s even better if you can avoid making those mistakes in the first place. As you make your way through this freelance journey, you’ll want to be aware of these possible false steps. You’re an article writer, so you write articles. You’re a graphic designer, so you design graphics. You’re an app developer, so you develop apps. And you do these things on a contract basis with your various freelance clients… but that’s far from the complete picture. What you’ll quickly realize is that you have a lot of other duties and these responsibilities can easily get pushed aside. And that’s a huge mistake. Don’t forget about your administrative duties, including keeping proper records, maintaining your books, and taking care of any licensing or certification that you may need. On the one hand, you want to make more money. On the other hand, you don’t want to risk losing a client because you quoted too high. Yes, it can be very difficult to determine your rate, especially since it can change substantially over the course of your career. I know my rates have. One big mistake that many freelancers make is overvaluing their work, quoting figures that are too high for their current skill level and for their clientele. It just doesn’t work. 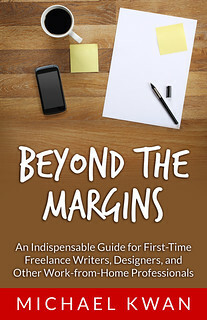 Far more common, though, is that freelancers undervalue their work, fearful of not “getting the gig,” as it were. If you don’t place an appropriate value on the services that you offer, you can’t expect your clients to do the same. Unlike a more conventional 9-to-5 job, a freelance business is largely a 24/7 operation. There really is no time when you are truly “off the clock,” so it means that you can work at just about every hour of the day. As such, you sometimes feel like you should be working every hour of every day. This is one of the biggest challenges that you’ll have to overcome, whether you work from home or rent a coworking space. It’s very easy to work too much. Speaking for myself, it is not out of the ordinary for me to sit in front of the computer from the time I wake up to the time I go back to bed. I realize this isn’t necessarily the best idea for both my mental and my physical health. At the same time, we must also recognize the challenge of working too little. It’s easy to get distracted and procrastinate when you don’t have a supervisor looking over your shoulder. And just because you’re sitting in front of the computer (or whatever other workstation) doesn’t mean that you are working. To avoid both of these extremes, you need vigilance and discipline. You’re not doing this for fun. You may have been lucky enough to parlay your hobby into a career, but it’s not longer “just a hobby.” And so, you need to treat your freelance business as exactly that: a business. That takes a certain level of seriousness and dedication. If you treat your writing, designing, developing, coding, or whatever else you do as “just a hobby,” it will make you just as much money as a regular hobby would: zero. And you want more than that. I know I do. Procrastinate! Ha! Only losers procrastinate!